American Express has a strong business presence and works hard to build lasting relationships with clients around that fact. 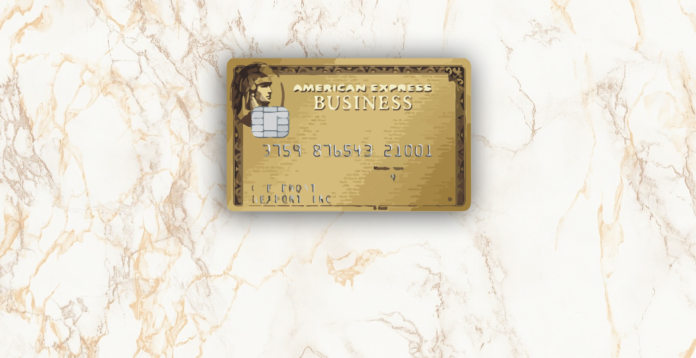 Our primary purchasing card around here is the American Express Business Gold Rewards card because it has an extensive set of features, bonus categories, and an amazing customer support team backing it. The power of this card comes from the fact that it’s a charge card and has no pre-set spending limit and the wide variety of 3X categories that you can pick from to tailor this card to your needs. With the Business Gold Rewards card you have limitless possibilities to earn points on everyday purchases and know that you have a rock solid card to do it with. In addition to amazing categories that give you a big return on investment, their tools such as expense management give you finite controls over any employee cards you decide to add to the card. It should be worth noting that this card does have an annual fee of $175 for the first card and $50 for each additional employee card. This marks it as quite a steep investment for the annual fee but that can quickly be made up with how powerful the card is. Plus the first year of the annual fee is waived which gives you more than enough time to test out the card and see if it fits your expenses. Because this is an American Express OPEN card you have access to additional benefits including extra bonuses and savings for shopping locally, spend manager, and dispute resolution. Most issues that I’ve ever had with my card have been solved in a short phone call to the American Express customer service line and they’ve been able to clear up erroneous charges and problems with foreign transactions. Out of the range of business cards that American Express offers the Business Gold Rewards card is the most versatile with great bonus categories and awesome support. If you can get targeted for it this card comes with a 75,000 Membership Reward signup bonus, but the normal bonus is 50,000 Membership Reward points which is still a great bonus for a card offering a $0 annual fee for the first year. I’ve been very happy with mine for the past couple of months owning the card and it’s my daily card for business purchases. Out of the range of business cards that American Express offers the Business Gold Rewards card is the most versatile with great bonus categories and awesome support.